Model T Ford Forum: Found a Goodie !!! Model T Ford Forum: Forum 2018: Found a Goodie !!! 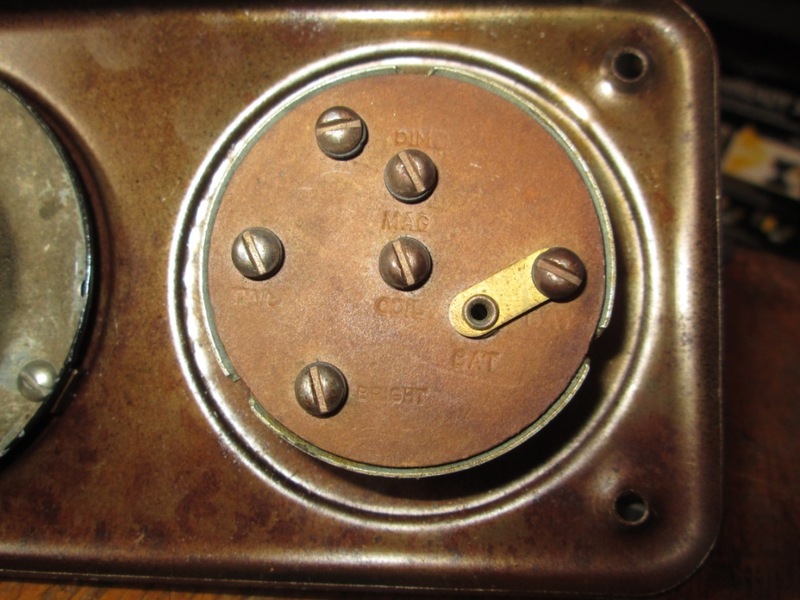 Thought I would share some photos of a NOS switch plate I just picked up - pin back - # 55 tumbler - never had a key inserted or a screw driver on the rear terminal screws. Notice the nice white painted background of the lettering. The front of the plate is obviously colored but the rear has no paint ! 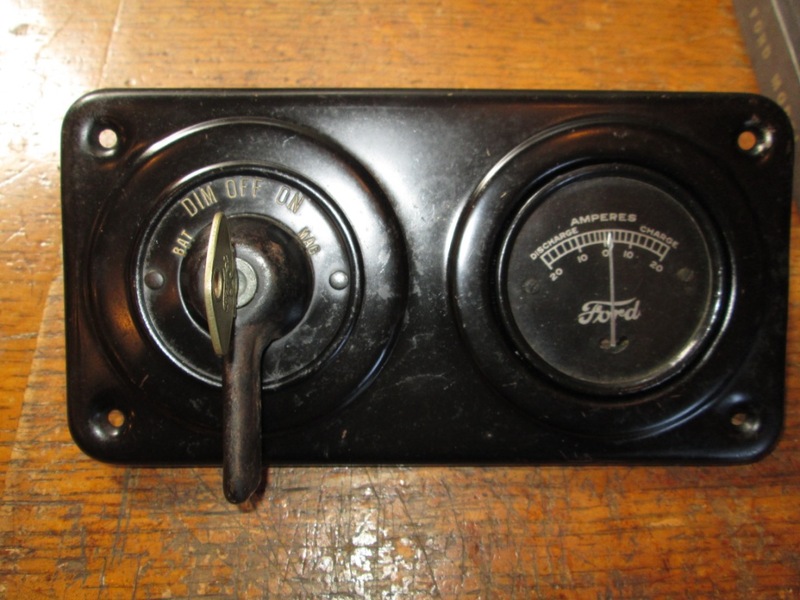 I installed one of my ammeters. My car is key 55, seems a common number, or is it my imagination ? 55 is a rare key when you need one. It is also the key number used for the replacement tumblers. Steve, I hate to disappoint you, but that switch is not NOS! It's NORS! Notice there is no Ford script at the bottom. I've got one like that too, and I think it is a C.D. Does the key turn? On mine the key won't turn. I believe it's because the pot metal has swollen. 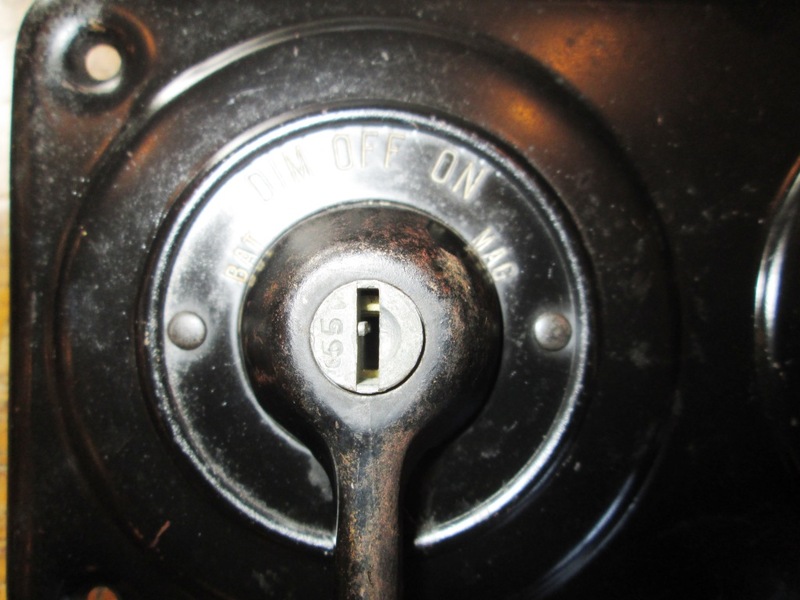 Quite possible Larry - this switch plate came out of a closed Ford Dealership in Mississippi. Yes, it's my key and it does turn - thanks for pointing that out ! Mine is 54. Do I get honorable mention? "Car 54 where are you " how's that ? Interesting to see an original switch that's in nice condition. Looks like the paint was applied in one quick pass with a spray gun and the back appears to have overspray that was in the room where the paint was applied. The switch on my 24 Coupe didn't have much of the paint left on the front but a nice thick coat on the back. Makes me wonder how and where Ford painted the switches.